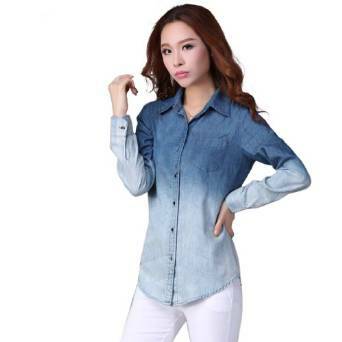 A versatile piece of outfit and also very common, the denim shirts occupy an important part of all women’s wardrobe from all over the world. 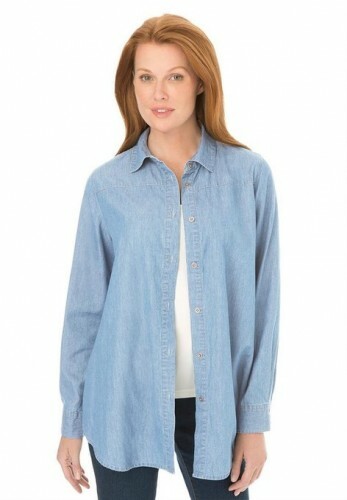 Versatility and comfort, these are two qualities that perfectly characterizes a denim shirt. No matter your personal style, the denim shirt is versatile enough to adapt to your needs and desires. The denim shirt can be easily worn on many various occasions. Whether you are going to classes, taking your kid to the kindergarten, going shopping or even at the job, this type of shirt always helps you to perfectly complete your outfit. Another important aspect that is worth mentioning is that this type of shirt can be a part of your daily outfit in any season.